On December 21, USDA Secretary Sonny Perdue stated, “There may be a lapse in funding for the federal government, but that will not relieve USDA of its responsibilities for safeguarding life and property through the critical services we provide. Our employees work hard every day to benefit our customers and the farmers, ranchers, foresters, and producers who depend on our programs” (USDA). You bet they are essential! Although most people take for granted the work State and Federal Agriculture professionals do every day, I don’t know anyone who wants to be without them or the services they provide. Would you want to buy produce or milk for your children not knowing if the products offered were safe to consume? It’s highly doubtful. Similarly, you wouldn’t want to take the family out to the park this Saturday if the landscape was toxic due to over-applied pesticides. According to the Centers for Disease Control (CDC), more than 200 known diseases are transmitted through food. The causes of foodborne illness include viruses, bacteria, parasites, toxins, metals, and prions, and the symptoms of foodborne illness range from mild gastroenteritis to life-threatening neurologic, hepatic, and renal syndromes. In the United States, foodborne diseases have been estimated to cause between 6 and 81 million illnesses and up to 9,000 deaths each year. Think of what these statistics would be without stringent oversight and reporting. The Census for Fatal Occupational Injuries reports that farming remains one of the most hazardous occupations in the United States! By empowering State and Federal Agriculture professionals with the Mobile Impact Platform, we have seen significant productivity and data quality benefits. Reducing processing times by 80%, driving down data recording and reporting errors to near zero, and increasing field productivity by over 1,000% allow our Agriculture professionals to focus on the mission at hand. By going mobile, they can focus on consumer product and environmental safety versus wasting time manually recording data in the field and rekeying what has been written into an office bound system. Take a closer look at two State Agencies who have been wildly successful in deploying mobile solutions to support many aspects of Agriculture. See how others have achieved significant results by reviewing our Agriculture Case Studies. You might have already seen Mi-Corporation’s work with the North Carolina pesticides program that’s saved time, increased accuracy, and saved taxpayer money. Now over the last two years, the department has continued to work with Mi-Corporation to roll out state-of-the-art mobile data capture and reporting solutions to additional programs such as Sleep Products, Structural Pests, Animal Welfare, Plant Nursery, and Livestock Inspections. In Virginia, leadership at the Virginia Department of Agriculture and Consumers Services, VDACS, has also deployed the Mobile Impact Platform for the Pesticide group allowing their professionals to focus more on the mission and much less on paper and mundane error-prone manual data recording and reporting tasks. The Mobile Impact Platform Ensures You Get ALL the Data – The First Time! Data Quality is a huge success factor of any business, but in Agriculture, lost or incomplete data can result in human injury or disease epidemics which can create unsafe environments for even the basics such as drinking water. When users miss collecting all of the data or, as in the case of manual systems, manual entry of data creates errors on mission critical reports, the results can be alarming. 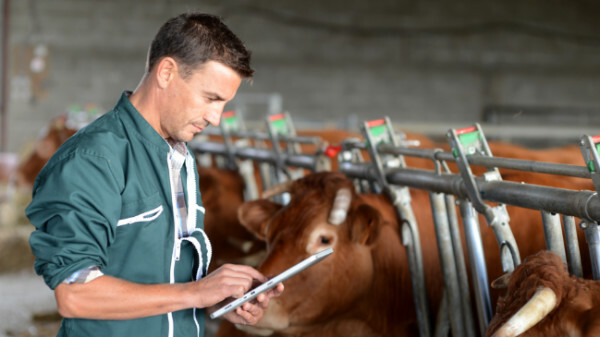 By deploying a mobile solution that is in part driven by an intelligent data rules engine, Agriculture leadership can be confident that the data needed to support safety and quality programs is never missed or lost in the process. As importantly, the right mobile solution will provide the visibility and accessibility to the data for visualization and ease of regulatory reporting. When inspection data is critical to consumer safety, quality of capture and reporting are not just good ideas, they are mandatory. Of course, quality error-free data must not slow commerce and must be delivered in a timely fashion from the field to the office where leadership can depend on it and use it to develop new or enhance the performance of existing programs. As the United States Department of Agriculture (USDA) can attest to, data quality and the expedited delivery of data collected in the field is critical to meet demanding metrics on numbers of inspections and reporting. In all of the areas of Agriculture mentioned above, regulatory reporting at the State and Federal levels is critical for supporting safety and quality. Whether it is product meant for human consumption or the protection of school playgrounds from over-sprayed pesticides by unlicensed professionals, data reporting drives early warning systems and helps develop risk avoidance strategies as well as emergency response plans. The Mobile Impact Platform not only gives you the tools to quickly and effectively develop your own mobile apps, but also helps ensure the data integrity and security needed for sound regulatory compliance reporting. Never miss another reporting deadline again, and never report on bad or missing data – reporting can be at your fingertips with the Mobile Impact Platform.